Josh was raised in Harrisburg, South Dakota. He received his Bachelor of Science degree from the University of Sioux Falls. He worked in private industry doing web development, then went to law school at the University of South Dakota. After graduation, Josh clerked for the judges of South Dakota’s First Judicial Circuit. 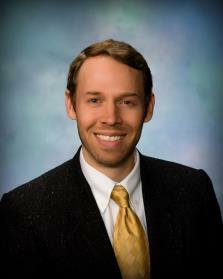 Josh has practiced law in Northeast South Dakota since August 2014. He is a South Dakota State Bar Commissioner and serves on the Young Lawyers Section as a circuit representative. Josh is also a member of the Lions Club. Josh and his family are active in the home school community in eastern South Dakota. Josh practices primarily in the areas of litigation, personal injury, insurance, business disputes, and fiduciary duty litigation.